Rave provides you with an easy way to receive payment from anywhere in the world via card payments, bank accounts, QR codes, USSD, Mobile money, and Mpesa. Rave offers you a variety of options on how to receive payment from your customer once you are signed up, and also helps you to create any type of payments flow—from e-commerce to recurring billing and everything in between. From your Rave dashboard, you can create custom links which you can send to your customers or embed in your website for customers to pay you. A payment link directs your customers to a custom page created by Rave for that payment. 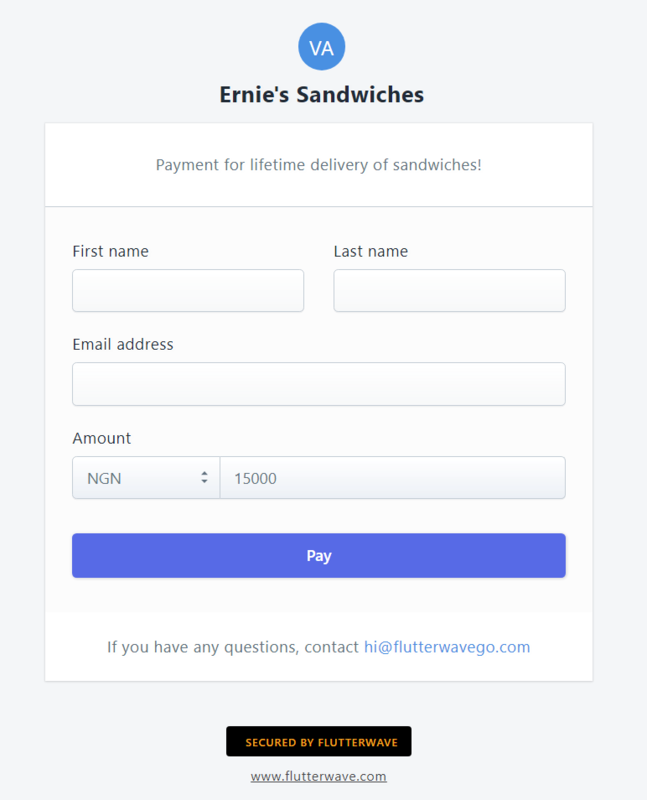 An example of a payment page is shown below. 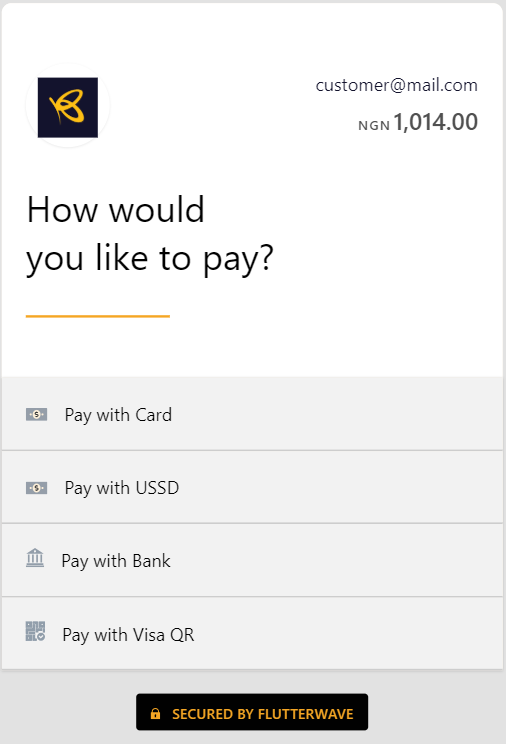 When the Pay button is clicked, a payment modal shows up for the customer to pay using any of the payment channels available for that currency. Do you think this works for you? Simply follow this link to learn how to create payment links. You can also use payment links to receive recurring payments. Follow this link for more information on recurring payments. The donate page does almost the same job as the payment link only that it was built specifically for accepting donations. One of the many advantages of the donate page feature is that the merchant can customize the page with features such as a background image and the donor can determine whether or not he wants to make a one-time donation or a monthly donation. The Rave dashboard has a sales mode feature which you can use to collect payments from your customers in person or over the phone. They can simply input their payment credentials (card, account, etc) on your device and proceed to make payment. Here is a direct link to the sales mode page on the dashboard. Rave has a number of plugins and Software Development Kits (SDKs) with which you can easily implement the core features of Rave into your online stores, e-commerce websites, mobile apps, etc. Rave has packages for WordPress payment form, Opencart, Joomla, AliPay, Prestashop, EDD, Wix, Ecwid, Weebly, Squarespace, Magento, WHMCS, PHP SDK, Cordova, Android SDK, iOS SDK, .NET, Java, Python, Woocommerce, Wordpress, Shopify, etc. You can see the list of our other plugins here. The Rave API is a set of protocols by which your website/app solution can communicate with Rave and make use of the features of Rave directly without having to use the Rave dashboard. You can explore all the features of the Rave API in our documentation here.